Another dance challenge for my for my 26 things to do before I turn 26 list! 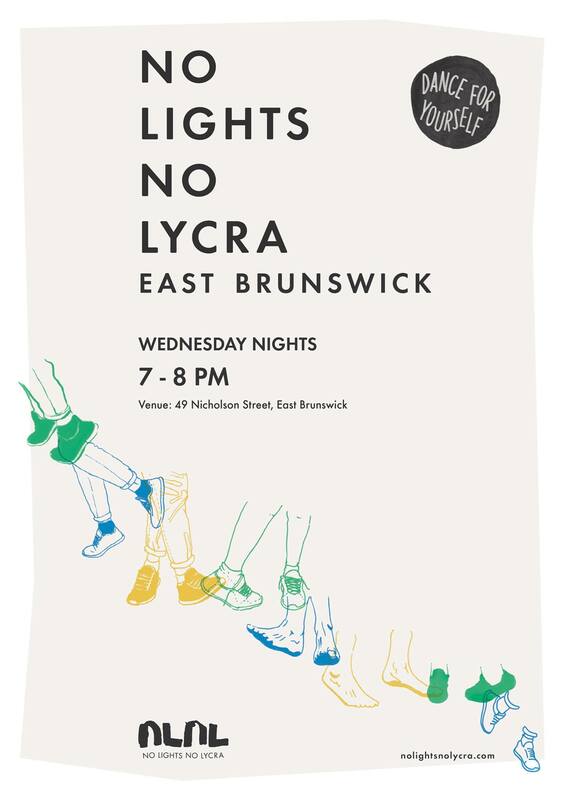 This time I attended No Lights No Lycra – an evening where you dance in complete darkness and really let loose! It’s a great chance to live out a cliche and ‘dance like no one’s watching,’ because no one can watch! No Lights No Lycra is a dance community where there is ‘no light, no lycra, no teacher, no steps to learn, no technique, just free movement.’ It’s a community that has gone global with ‘free movement dance’ sessions throughout Aus, NZ, Europe and Canada! But here I am in Melbourne at the birthplace of No Lights No Lycra, where it was all started by two dancers Alice Glenn and Heidi Barrett in 2009. East Brunswick – 49 Nicholson St Brunswick East, under the church, enter via Barkly st. The room was kitted out with blackout curtains and a DJ booth on the stage which churned out songs from pretty much every genre from ‘Footloose’ to ‘Killing in the name of.’ And that was it really, you just showed up and danced, no talking, no bar so definitely no drinking, just dancing. It took a while to get into, but after a while you really start to lose your inhibitions and focus on the songs and dancing. In some ways I found the whole session a form of meditation! You really become in the zone and forget what’s going on around you, which was really freeing. NLNL has been on my to do list for a while, what I really love about my challenge is that it gives you that final push to actually do those things you’ve been meaning to do! So dancing in the dark with strangers – tick! Next Waitomo and Black Water Rafting with the Glow Worms!